Hurd retains As Ortiz & Joyce Impress. 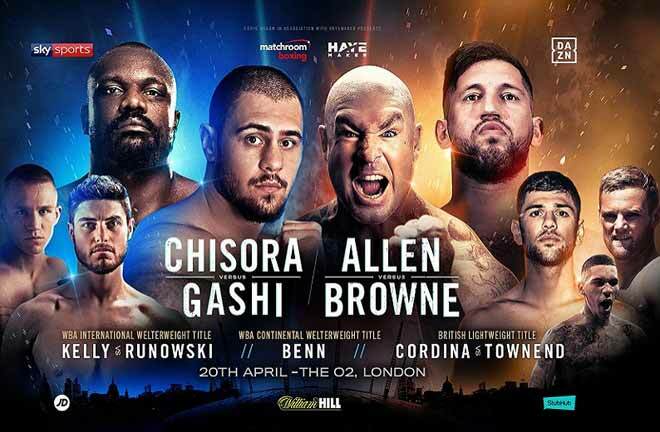 It was a busy, fun undercard at the Staples Centre in Los Angeles, in anticipation of the main event between Deontay Wilder and Tyson Fury. 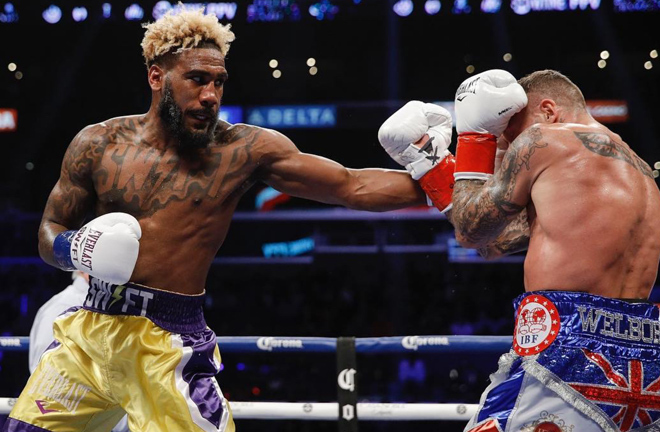 Jarrett “Swift” Hurd defended his WBA (Super) and IBF Super Welterweight Titles with a fourth round knockout win over the spirited Tividale man, Jason Welborn. Welborn took the fight to his opponent in the opener, landing solid right hands, and constantly taking the fight to Hurd. 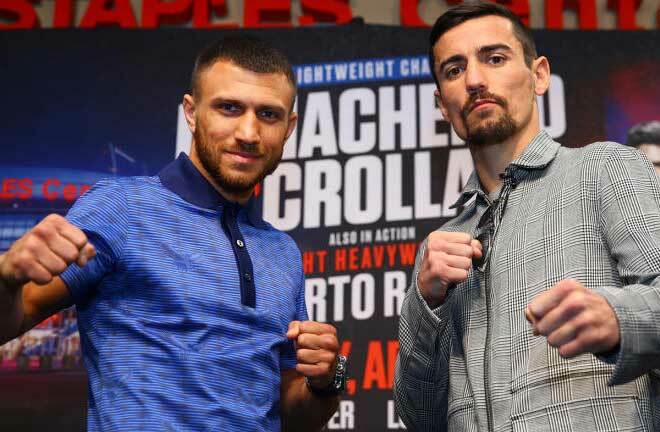 Welborn again has successes in the second, connecting with chopping rights while in close, Hurd landed a solid jab at the end of the session to stamp a bit of authority on the contest. Welborn continued to show no fear, and took the fight to Hurd, landing a left hand right at the end of the third round. The Midlander gave it his all in the fourth, and rattled Hurd with lefts and rights, finally waking Hurd up and forcing him into action. When this happened, the results were instant. 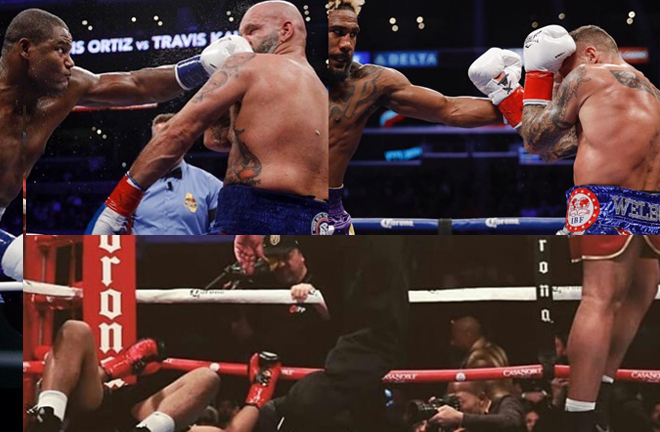 Welborn again tried to swarm over the Maryland man, but Hurd responded with a shuddering right hand to the body that dropped Welborn. 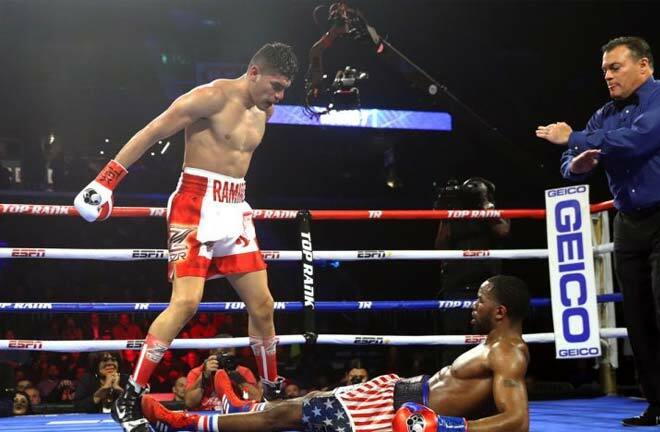 He took the full count from referee Lou Moret, unable to continue, bringing the fight to a close. 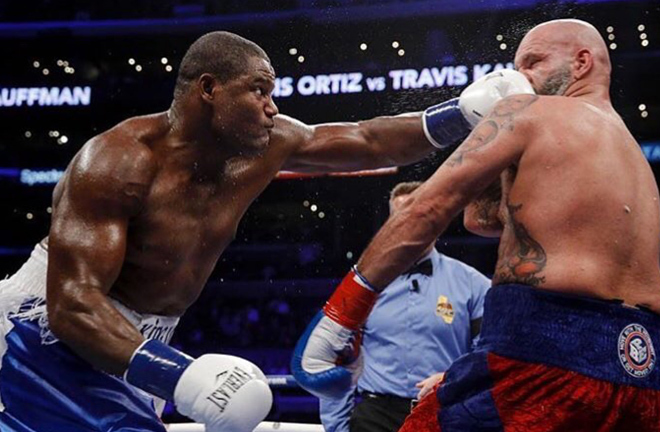 The most avoided Heavyweight in world Boxing, Luis “King Kong” Ortiz took a step towards another World Title shot with a clinic against the limited Travis Kauffman. Ortiz took centre ring immediately, and dominated off a spearing jab, landing in twos and threes. Kauffman was restricted to boxing off the back foot, and covered a lot of yards early on, but Ortiz was still able to land with quick and powerful combinations. Kauffman’s ambitions were limited, although he did land with a couple of decent shots in the fifth. 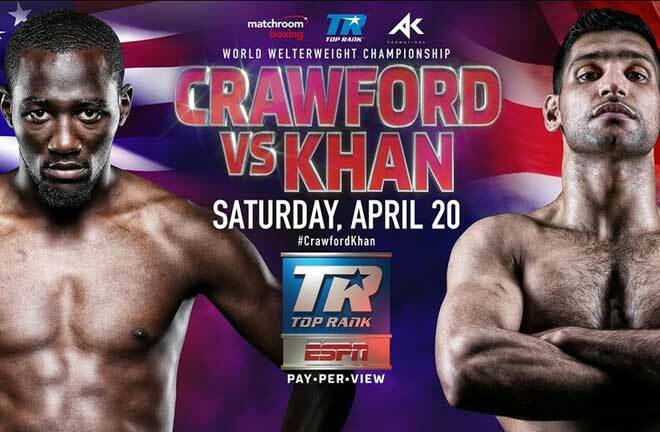 The Cuban made a breakthrough in the next, when a crushing left hand landed to put Kauffman down. Ortiz climbed the turnbuckle to celebrate victory, but Kauffman rose at eight, and managed to soundly see out the round. 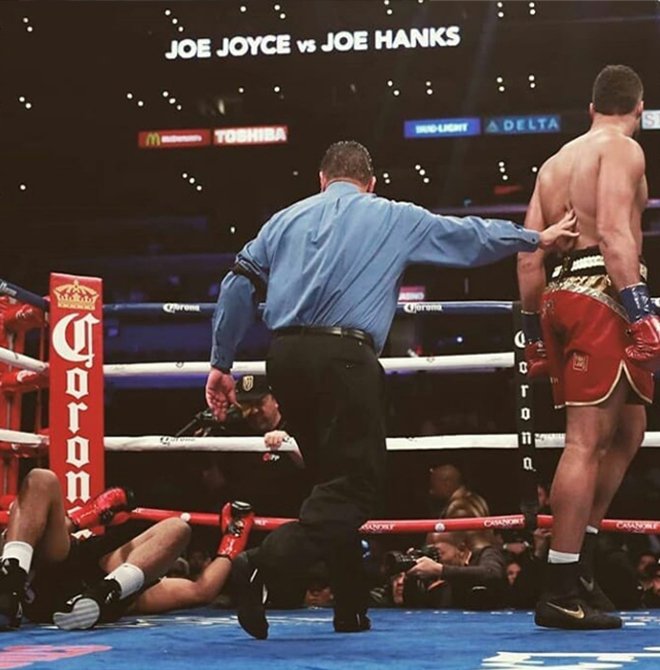 Kicking off the Showtime portion of the card, 2016 Olympic Silver medallist Joe Joyce showcased himself to the maximum with a devastating first round knockout against Joe Hanks. “The Juggernaut” led off with a spearing jab, but Hanks got his attention with a hard combination. Joyce connected with a combination of his own which left Hanks on the ropes, but the Londoner somehow didn’t go in to follow up. The end wasn’t long in coming though, as a massive left hand detonated on Hanks’ chin, putting him on the canvas. He attempted to regain his footing, but his senses were scrambled, and his legs wouldn’t obey him. The referee wisely stopped the fight mid count. 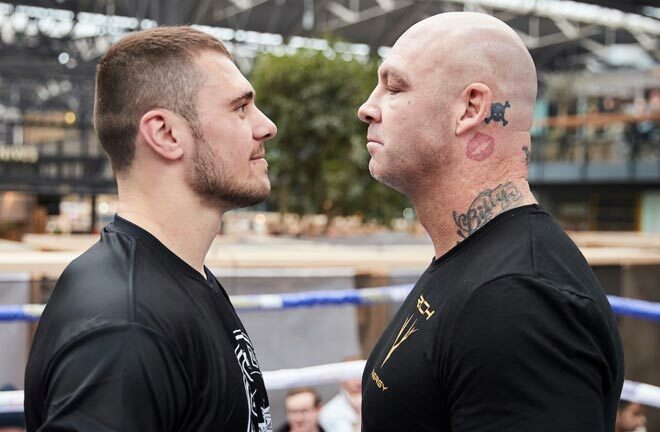 Joyce becomes the new WBA Continental Heavyweight Champion as a result.